Xcode releases include stable versions of the clang C/C++/Obj-C compiler, the Swift compiler, the LLDB debugger, and iOS/watchOS/tvOS simulators. Xcode also includes Interface Builder, as well as tools for viewing and editing 3D models and scenes, image assets, and more. 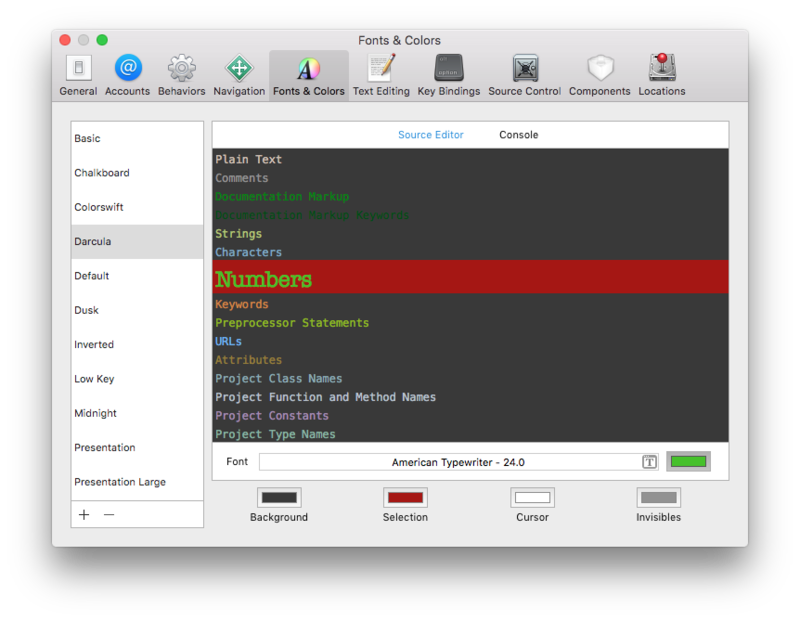 With the preference pane open you can click on the 'Fonts and Colors' tab. From here you can change the source AND console background and font colors. 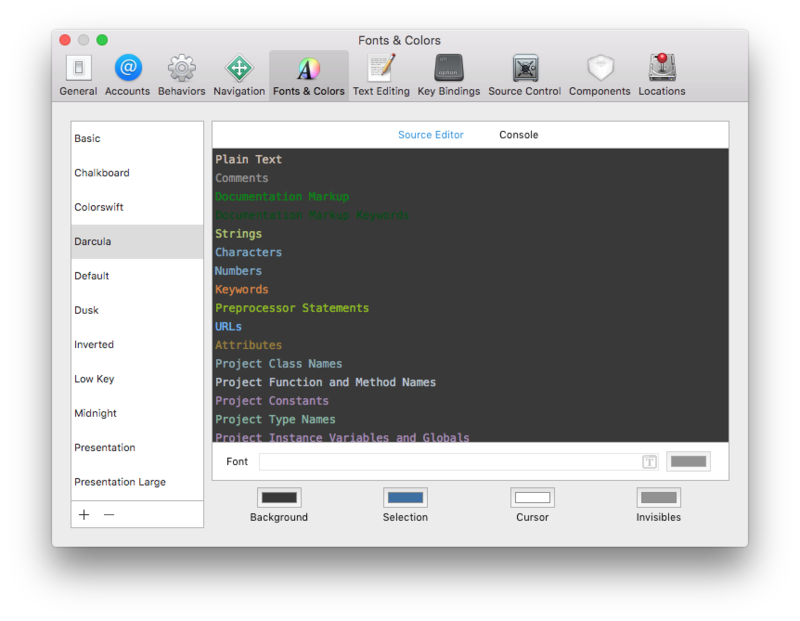 There are many pre-made color and font schemes provided with Xcode. You choose these from the list on the left (Basic, Chalkboard, etc). You can find and download more online (like here for example). Now you can customize the look and feel of the 'Source Editor' and 'Console' to your hearts delight! 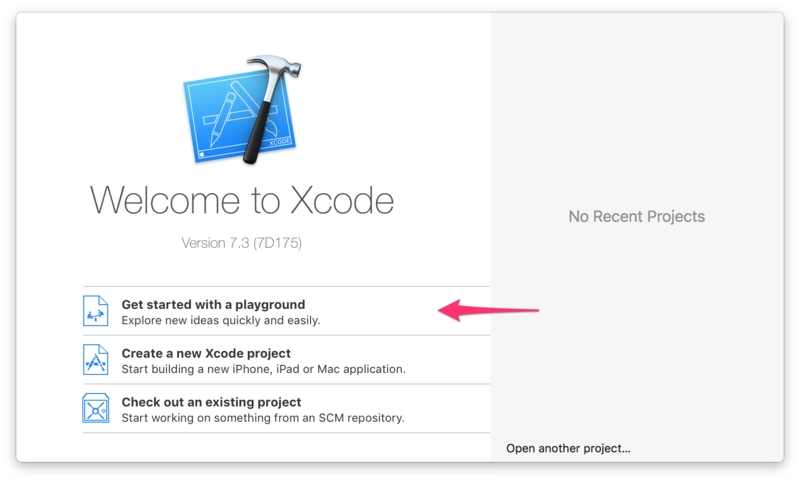 Download Xcode from the Mac App Store. You can have multiple versions of Xcode installed at the same time (including beta versions). Simply rename the application in Finder to avoid conflicts. Note: Installing Xcode from the App Store will tend to overwrite an existing version on your machine. 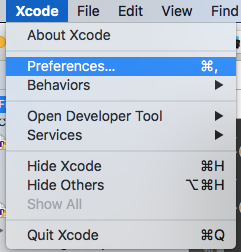 You can also install Xcode from a direct download to get more control over which versions you have. Each copy of Xcode includes command line tools (clang , xcodebuild , etc.). You can choose which ones are invoked by the commands in /usr/bin .